Chicago is one of the bike-friendliest cities in the US. 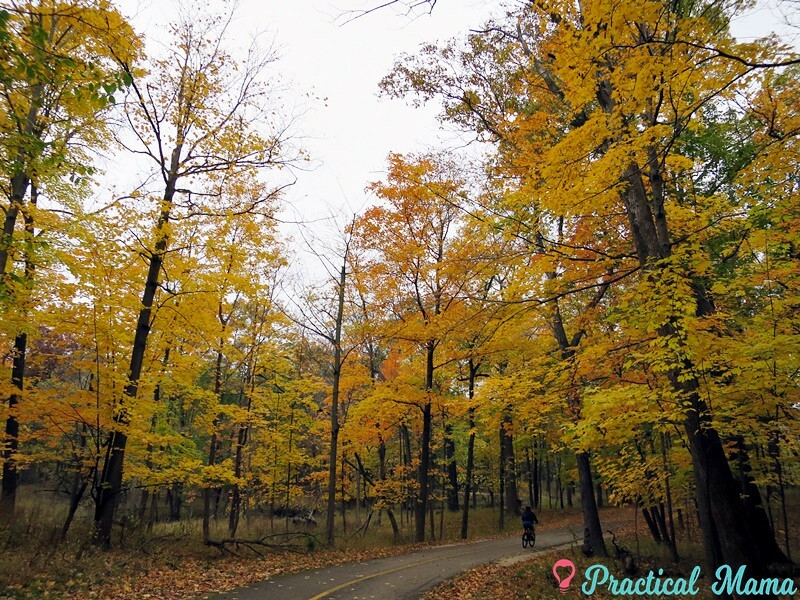 Chicago has many city and forest preserve bike trails to accommodate both pro and recreational bikers. 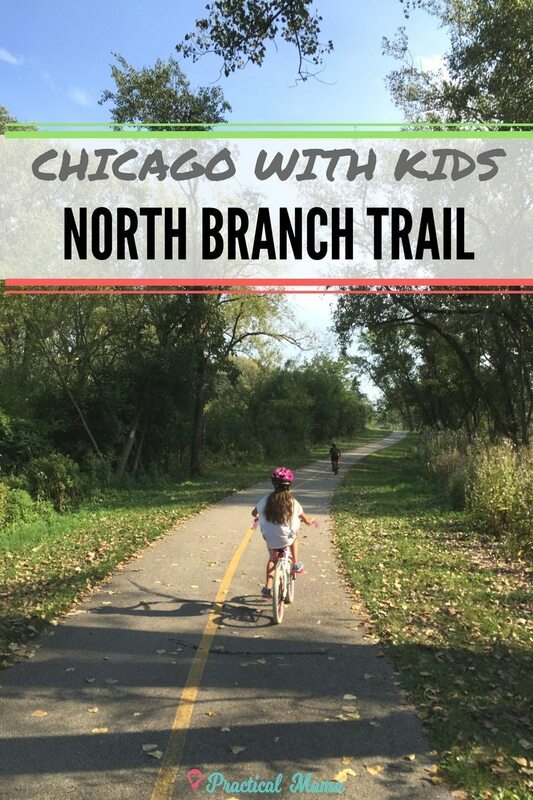 One of our favorite trails in the city is the North Branch trail. 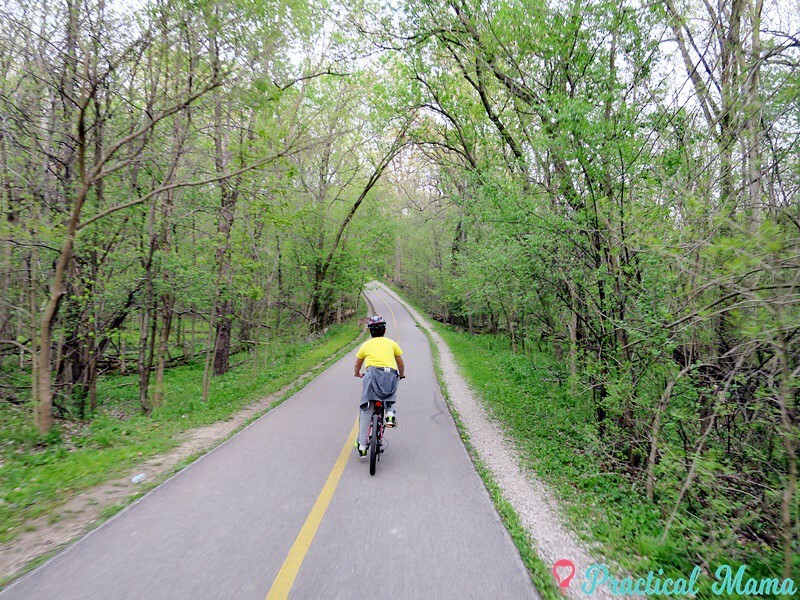 North Branch Trail is a Class I bicycle trail that extends 21 miles from Forest Glen Woods in Chicago until Chicago Botanic Garden in Glencoe, IL. They recently opened a 2-mile extension from Devon Avenue to Forest Glen. The plan is to extend the path to Foster Avenue. This trail offers a quick getaway from the city with a beautiful green scenic view in every season. 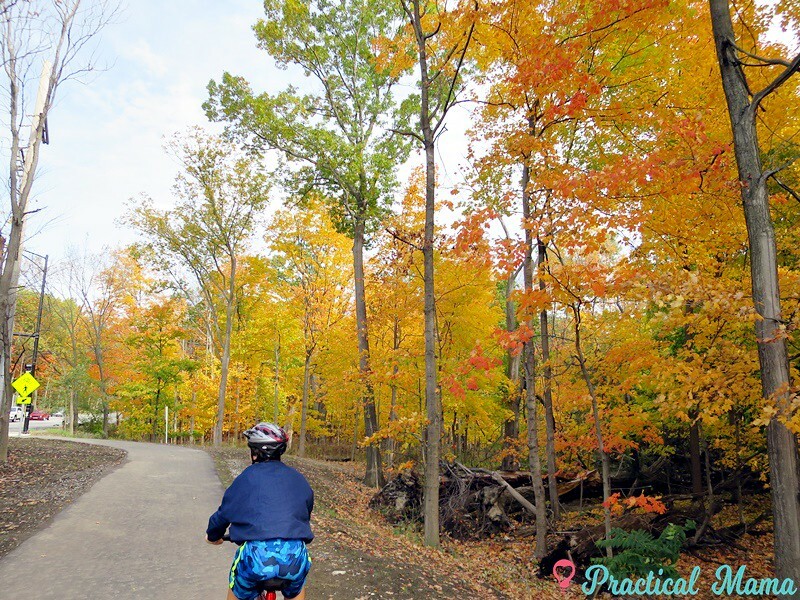 We usually go out for biking in Nort Branch Trail when we have about 3-4 hours. 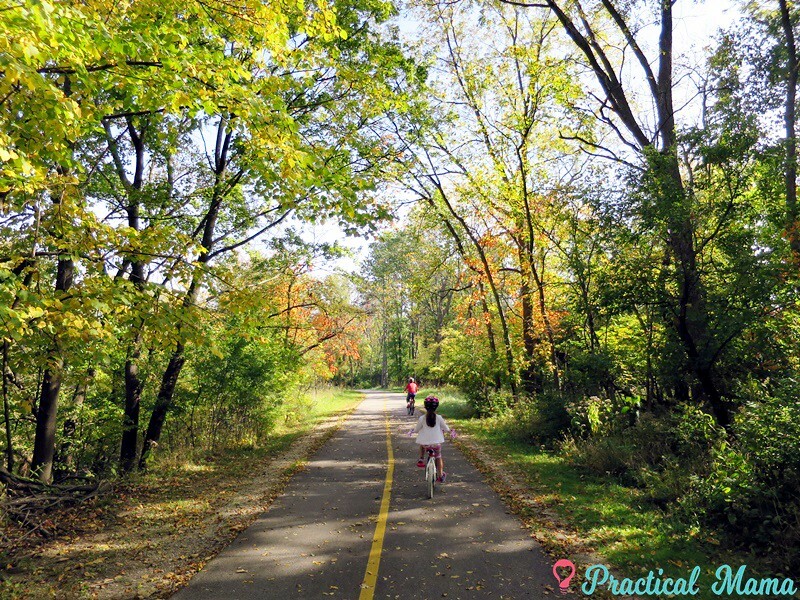 We ride our bikes for 3-4 miles, rest in one of the picnic groves along the way and ride back. The path is 85% flat, much like the rest of Illinois. It’s very kid-friendly. 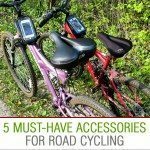 We share the path with pro-bikers, runners, walkers and stroller pushers. 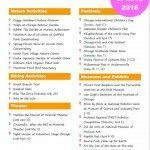 There is so much to observe and discover for kids along the path. So many interesting and exciting plants and animals in every season. Once in a while we park our bikes, go by the river, which is North branch of Chicago when the water is low and just hang around. In Spring the river gets high almost getting closer to the bike path. 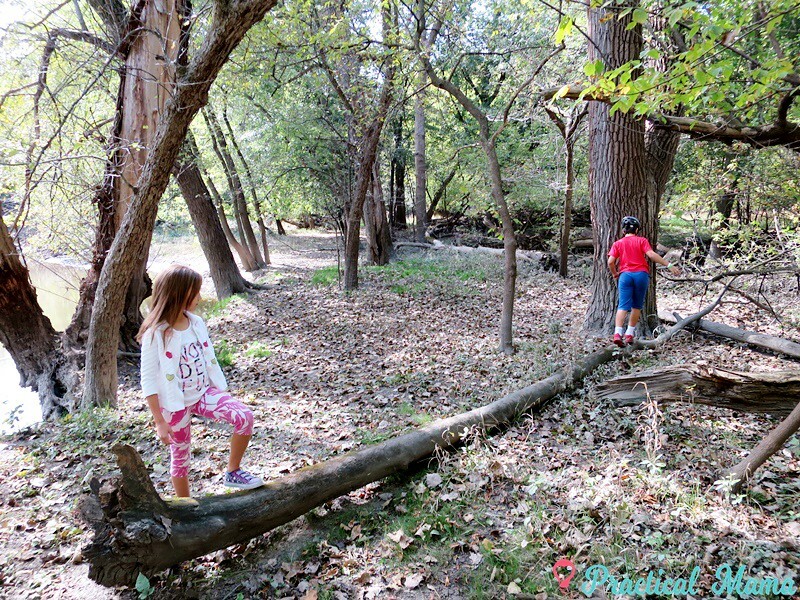 Kids play on nature-made balance beams and watch birds while we take a break. 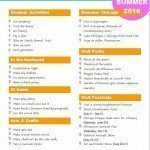 Last year, we drove up to Chicago Botanic Garden with our bikes in the trunk of our van. My husband drove the car back, while I and the kids rode our bikes all the way from Glencoe to Chicago. We weren’t in a hurry or in a race. 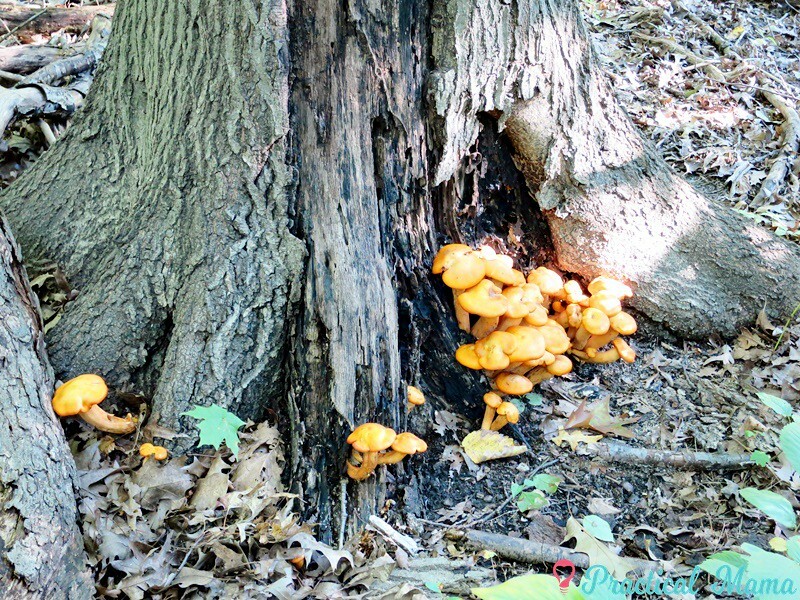 We took our time and enjoyed the scenery along the 21-mile path. 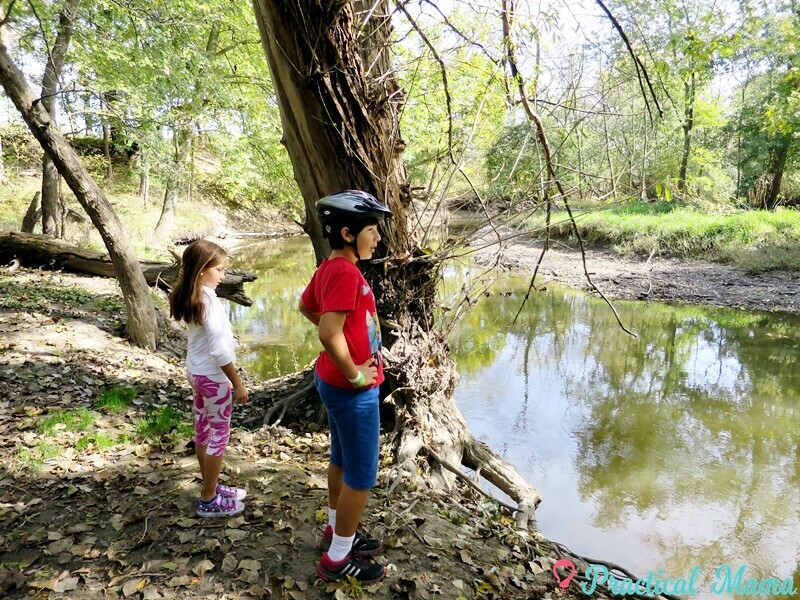 Kids were proud of themselves to have ridden the complete bike path. There are few hills to climb along the path including bridges over roads and railways. However, nothing too crazy. Climbing up some of them with kids is a bit hard but since what goes us must always come down, going downhill makes those uphill worthwhile. You can also meet wildlife on the road. If you look closely, you can see the deer crossing the path on the left of my son’s helmet. 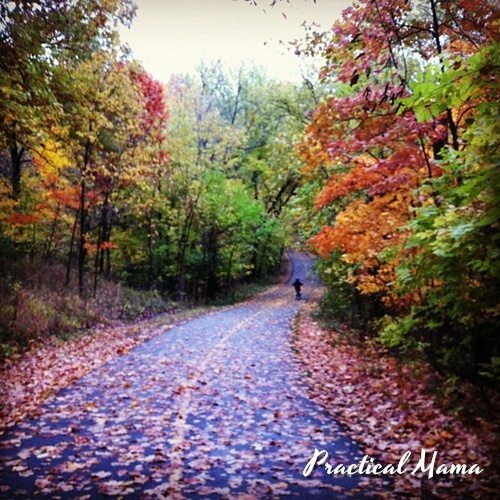 Riding this path must be on your Fall bucket list. Spending few hours through these mesmerizing fluorescent fall colors is literally a mental reset. On the South side of the trail, there is practically one path. However, on the North side, there are East and West paths. 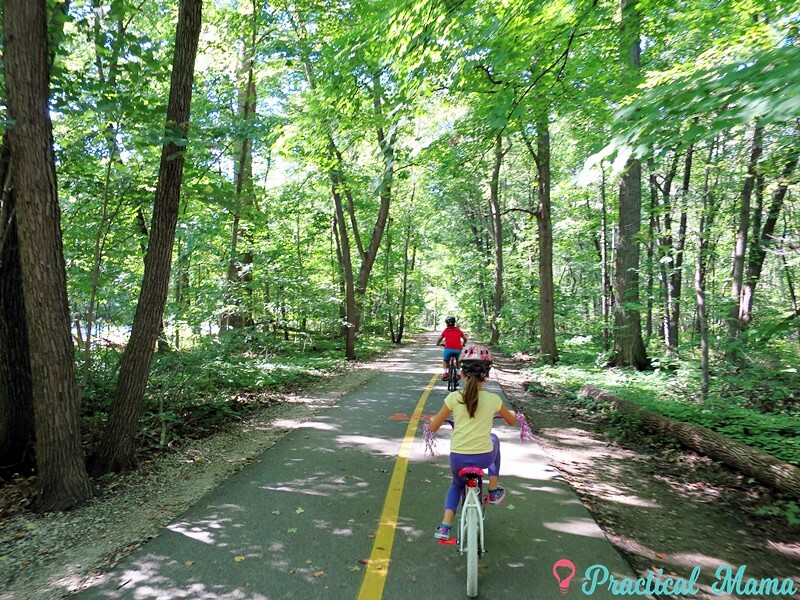 When we rode our bikes from Botanic Garden, we were told East path was longer but more scenic so we picked that one. Here are the maps: map of the North Branch Trail and North Branch Trail South map. There are many guide posts and maps along the path. You can also enter and exit from various points along the trail. There are large parking lots, bathrooms and water fountains – which open in Spring and shut down in November. 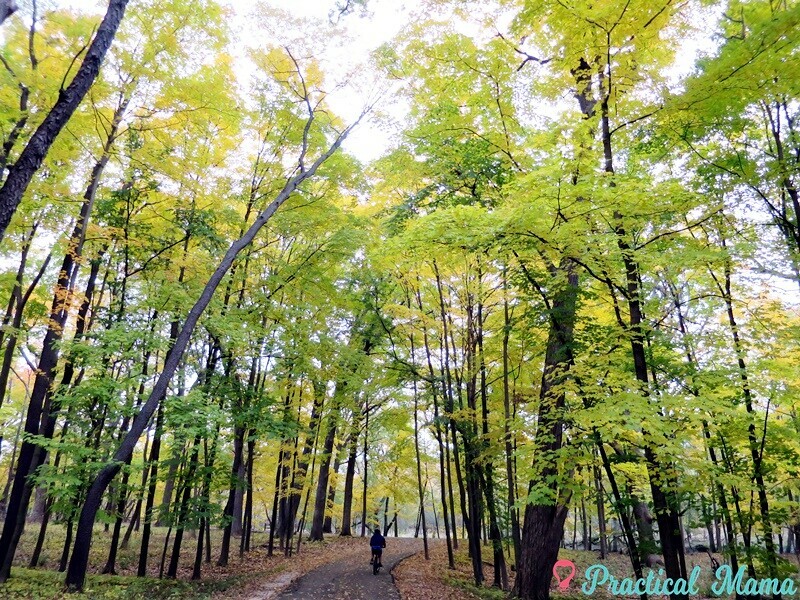 We cannot wait to go back to North Branch trail. 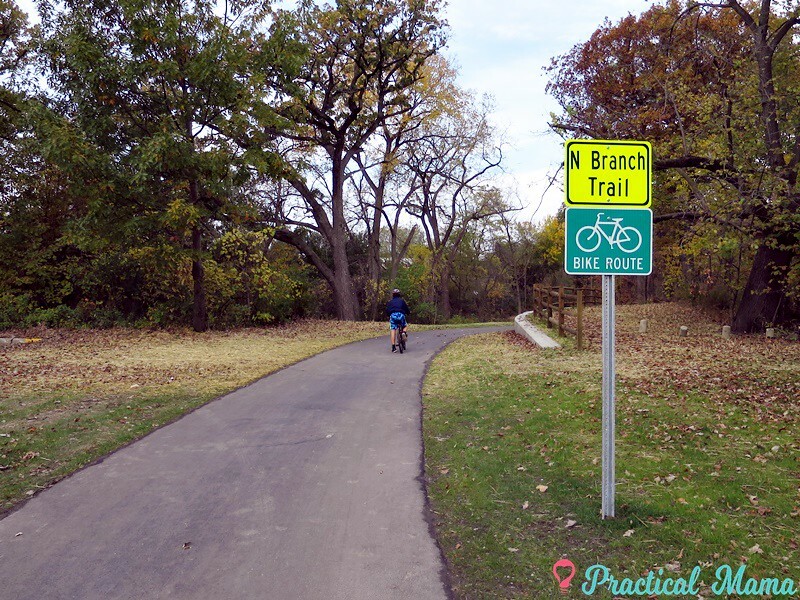 Let us know if you’ve biked at North Branch Trail and how you liked it?